Come meet Charlie our new student volunteer. He can help you with any technology questions. 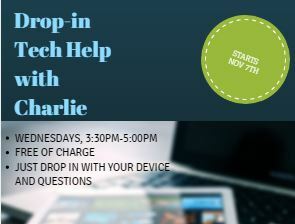 Please bring your device and any questions you might have. No appointment needed. Free of charge.